Howard Chaykin is stirring up a lot of controversy with this recent Image series, The Divided States of America. He's been a fascinating creator that I've followed since the 1970s. The image above is from an adaption of The Stars My Destination, a Byron Preiss project that he did in the period before American Flagg. Chaykin is also an interesting figure to me because one of his mentors / friends was Gil Kane. 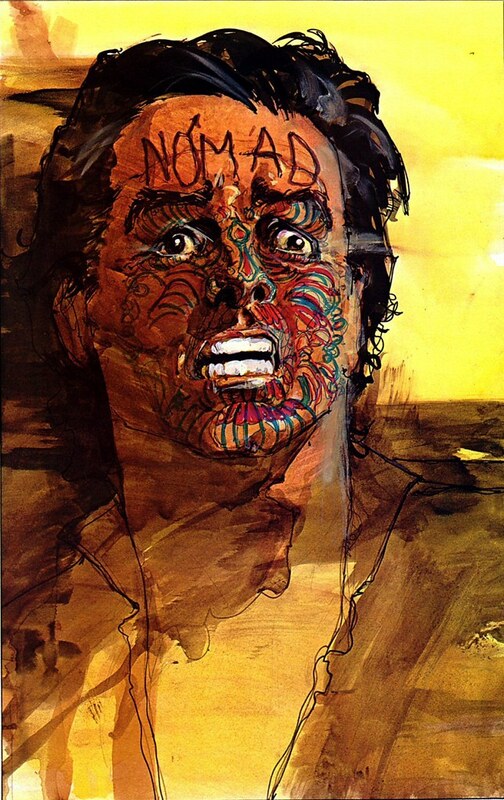 The Virtual Memories Podcast has an epic (nearly 2 hour) long interview with Chaykin about his entire career and life. If you are a fan you will want to listen to this, it covers his early career to American Flagg, his period away from the industry (working in television), his life in California and sobriety of over 25 years.